It is important to remember the past, even the past of the past. Although living beyond all time, HaShem reveals Himself through the lessons of history. In this case, Haman, the chief antagonist of the Purim account, was a descendant of the Amalekites. HaShem had commanded King Saul of Israel to completely obliterate the Amalekites, however Saul preferred his own way and permitted some to survive. He desired the spoils of war and he was also fearful of the Amalek. Fear and desire are two powerful enemies of those who would know and serve HaShem! King Saul failed the challenge and lost his kingship to David HaMelech. We read of this failure at: I Samuel chapeter15. Because of Saul's disobedience, Haman was born. Let's begin by reading this account at I Samuel chapter 15. What are the referenced "Teraphim" in verse 23? This is a Hebrew word found only in the plural form. The "Teraphim" seems to refer to "excellences" as in the "Ba'alim" (or "masters"), ie those idols called masters or gods such as the Ishta Devata or household god(s) found in Eastern Pagan cultures like India. When we fail to obey HaShem or when we interpret His Word in ways we prefer we set up conditions like "idols" that are often negative to our own best interests. 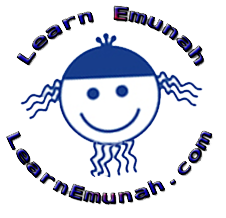 Even as we use the name "Amalek" and "Haman" to signify all manners of negativity, so too when we are placing our emunah in the "teraphim" of our experiences. We are rebelling against the Word of HaShem and bringing sorrows upon ourselves and all those who follow in our ways, our children and so on. Note that Saul felt completely justified his rebellious actions. One justify anything however HaShem is not fooled! BUT HaShem is most merciful. While Divine Justice demands that HaShem hold us accountable for our rebellious consciousness and actions, His Mercy moves Him to accept our teshuvah, our repentance, our sincere returns to Him. Queen Esther was pious Jew who found herself in unexpected position by the Will of HaShem. Her Hebrew name was Hadasa. Just as many of us have names reflecting the Diaspora culture in which we live, such as "John" or "Mark" and so on, but also have Hebrew names such as Shlomo or Aryel, so too "Esther" was the name used for her by the Pagans. The name Esther refers to the Babylonian goddess of love, Ishtar. Christians get their holiday name Easter from this same Babylonian goddess. Hadasa was a righteous woman. In the Purim account the people are told to fast and make sincere teshuvah before seeking their deliverance. In remembrance of this we observe "Taanit Esther," the Fast of Esther on the day before Purim. Only after her people make sincere teshuvah does Queen Hadasa or Esther present their case before HaShem. So too, we must first correct our wrongs and then seek HaShem's mercy. Let's read Magilla of Esther.